Filipinos, the second largest Asian subgroup in the U.S., experience significant youth behavioral health disparities but remain under-represented in health research. We describe lessons learned from using the Matching Model of Recruitment to recruit 215 Filipinos to participate in a large, randomized controlled trial of a culturally tailored video aimed at increasing enrollment in the Incredible Years® Parent Program. We recruited participants from schools, churches, clinics, community events, and other community-based locations. Facilitators of participation included: partnership with local community groups, conducting research in familiar settings, building on existing social networks, and matching perspectives of community members and researchers. Findings suggest recruitment success occurs when there is a match between goals of Filipino parents, grandparents and the research community. 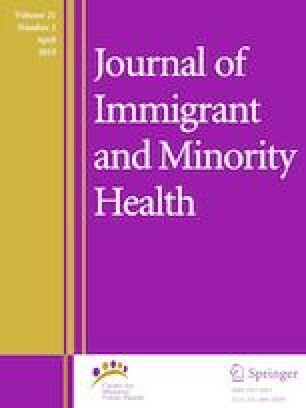 Understanding the perspectives of ethnic minority communities and effectively communicating goals of research studies are critical to successful recruitment of hard-to-reach immigrant populations in randomized controlled trials. We would like to thank participants in this study, partnering community organizations, the Filipino Family Health Initiative Community Advisory Board, and Kamil Bantol for her assistance with manuscript preparation. This work was supported by the Eunice Kennedy Shrive National Institute for Child Health and Human Development grant K23HD071942 and the National Center for the Advancement of Translational Science Grants KL2TR001854, UL1TR001855, and UL1TR000130. The contents are solely the responsibility of the authors and do not necessarily represent the official views of the National Institutes of Health. Hoeffel EM, et al. The Asian Population. 2010. http://www.census.gov/prod/cen2010/briefs/c2010br-11.pdf. US Census Bureau, Accessed 8 Jan 2012.